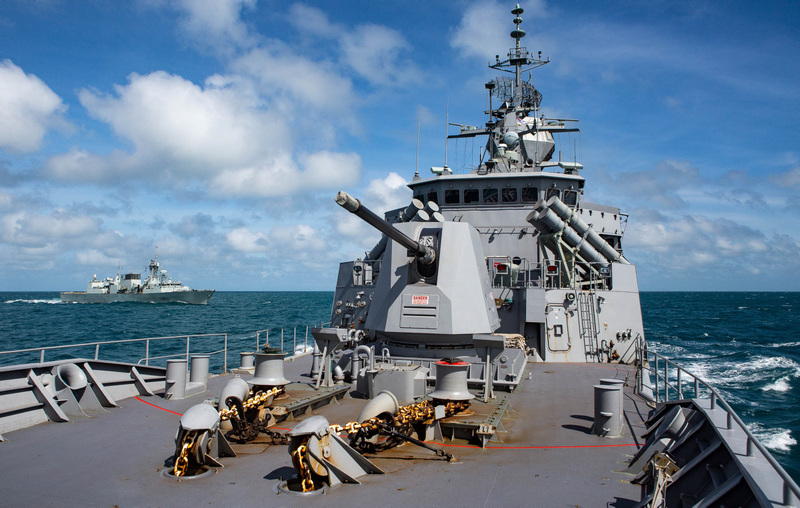 INDO-PACIFIC ENDEAVOUR 2018 is geared towards enhancing interoperability with Australia’s key regional partners, including Fiji, Tonga, Samoa and Vanuatu and the Solomon Islands. IPE 2018 is the second iteration of the exercise and part of ongoing efforts to re-affirm Australia’s positive relationships with other militaries through joint practical activities. HMAS Adelaide, a Canberra-Class Landing Helicopter Dock, is the centrepiece of the task group, able to project embarked personnel, vehicles and aircraft ashore in support of joint exercises. HMAS Adelaide is joined in the Joint Task Group by HMA Ships Melbourne, Success and Toowoomba. IPE 2018 also involves personnel from the Australian Army’s 2RAR, the Royal Australian Air Force and Defence civilians. IPE 2018 news articles are available on Navy Daily. IPE 2018 images are available on Navy Image Library. Note: All exercise imagery will remain in the Navy Image Library though the album for the deployment will only remain available until August 2018. HMAS Toowoomba and HMCS Vancouver conduct officer of the watch manoeuvres during the INDO-PACIFIC ENDEAVOUR 2018 deployment.